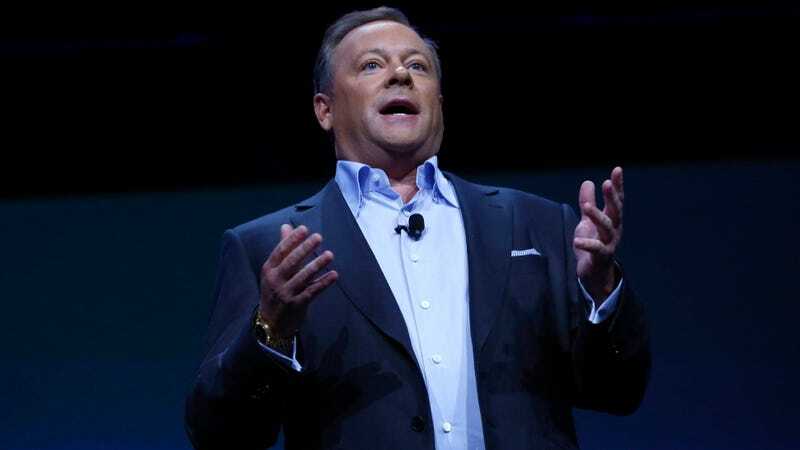 I mean, it's a nice sentiment expressed by Jack Tretton (pictured), president of Sony Computer Entertainment America, on the latest official PlayStation Blogcast, but come on. Maybe it's hyperbole, but here's what he said, at the 45:40 minute of the podcast, about supply and demand for the PlayStation 4: "It breaks my heart if somebody's got $400 in hand and they want a PS4 but we can't sell them one." When a host laughed about "shut up and take my money," Tretton responded, "Yeah, well, to that point, I don't have one yet because I'm like 'No, sell it.'" Now, hold it a second. This guy is the president of Sony Computer Entertainment America. If he's not well compensated enough in that job to preorder one as a civilian, or buy it on the gray market, I'm sure he could peel off some of his poker winnings to bring home a console—a console that his company makes. We're to believe the pressure inside Sony Computer Entertainment America to sell consoles is so intense, he's refusing to take one home until every customer is happy? Nice thought, seems a little farfetched though. Tretton did, however, firmly deny the conventional wisdom that Sony (or any console maker) wants a shortage because the publicity of heavy demand is worth more than whatever you're not selling by running out of stock. "We manufactured every unit we could get our hands on," he said. A million sold on the first day, and it takes "many months" to build up that kind of a supply. More supply is coming between now and the end of the holidays, but for those who miss out in that window, even more PS4s will enter the market in the first three months of 2014 as Sony approaches the end of its fiscal year. Maybe by then Tretton will finally have a PS4 in his home, though I suspect if one isn't already there there's at least one he can fool with at the office.